Indorex Household Flea Spray is effective at killing fleas for 2 months & preventing them from reappearing in your home for 1 year. It also controls dust mites for at least one year. Fleas can cause alot of discomfort & irritation to animals (& their owners! ), so effective control of them is vital. Fleas can be tricky to get rid of just by treating your animal, as only 5% of their lifecycle is actually spent on the animal! Indorex is so successful, as it contains three very effective active ingredients: Permethrin; Piperonyl Butoxide & Piriproxyfen, which when combined target all stages of the life cycle: adults, eggs, larvae & pupae. Even though they are microscopic, 1 gram of dust can contain 500 dust mites! They are known to be one of the key triggers in allergic skin disease in dogs & have also been implicated in asthma in humans, so both human & canine health can benefit for treating your house with Indorex for dust mites. 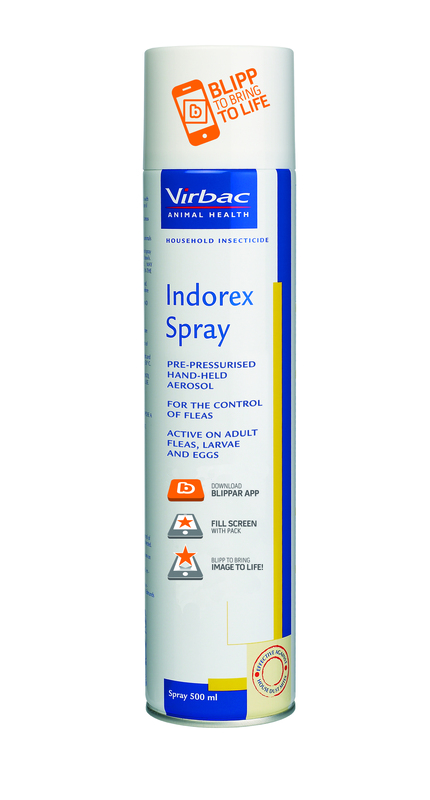 Indorex is the most popular household flea spray in the UK & regularly wins Best Cat Flea and Best Dog Flea Product (Home) in Your Cat and Your Dog Magazines. Indorex is odourless, safe to use & in one can, there is enough to treat the average, 79 square metre, 3 bedroom house.